For over 200 years, and leading up to the Civil War, most of New York City favored slavery because the region’s cotton and sugar industries depended on slave labor. During the colonial era, 41 percent of NYC’s households had slaves, compared to just six percent in Philadelphia and two percent in Boston. Eventually, after the state abolished slavery in 1827, the city became a hotbed of anti-slavery activism and a critical participant of the Underground Railroad, the network of secret churches, safe houses and tunnels that helped fugitive slaves from the south reach freedom. 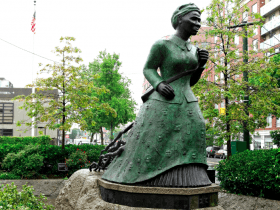 While some of these Underground Railroad sites no longer exist or have relocated, a few of the original structures can be visited today, including Brooklyn’s Plymouth Church and the Staten Island home of staunch abolitionist Dr. Samuel Mackenzie Elliott. Ahead, travel along the Underground Railroad with 15 known stops in New York City. 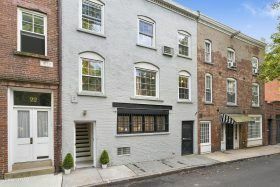 This is one of the select few carriage homes that line the charming Cobble Hill Park, and now it’s up for grabs asking $4.4 million. What you’re getting is a house full of history: constructed in the 1840s through 1860, the carriage houses on this block served as homes for both the servants and horses of the wealthy homeowners along nearby Warren and Clinton streets. 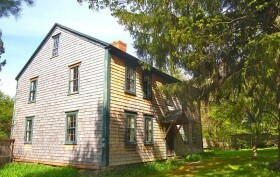 20 Verandah, in particular, later served as a stop on the Underground Railroad. 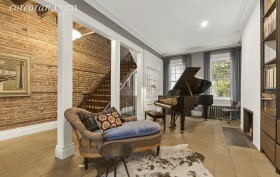 Of course, the interior is lovely too, with original details like bricks, ceiling beams and wood-burning fireplaces maintained within the four-bedroom, two-family home.